Big news for Our house now a home, we are adding recipes! Today is a big day around here, really this whole week is an exciting one for this little ‘ole blog of mine. Big news for Our house now a home, we are adding recipes! Not just recipes, but a new co-blogger! I can DIY a dining room table, paint wood trim with no painters tape needed, mitre saw the crap out of wood…. cooking though… not really my thing. In our house Dale makes the dinners and I am the official clean-up crew. 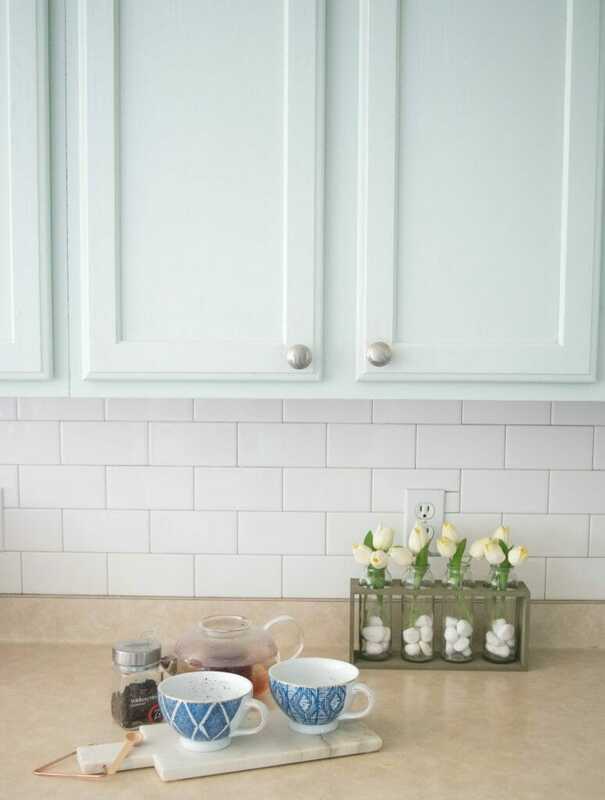 Which works great for our home, but I have always wanted to delve into recipes and food here on my blog. A perfect storm of things happened to make this new venture possible for the blog. I spoke last year about how I considered quitting my blog, needing to remove some chaos from my life. For a ton of different reasons I decided to keep plugging along with this lovely blog. I was not sure how to change things up, bring new insight into this blog without compromising on my family time. Which brings me to this amazing announcement, my good friend Mary is becoming a part of Our house now a home as a recipe and gardening pro. To celebrate this new food blogger in our midst I am sharing some recipe printable that are free to download! You can print them out and fill them with all of Mary’s meal ideas. Click here to download! To access even more free printables you can subscribe to our email newsletter. 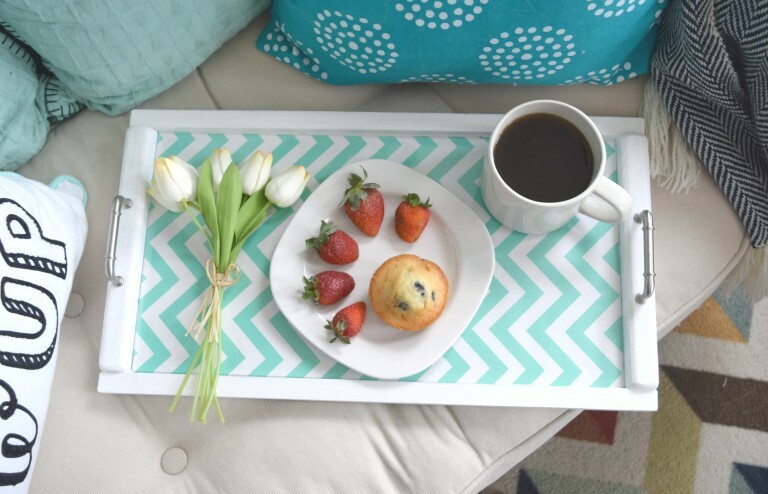 Getting up to date blog posts, all of our free printables and little tidbits only shared with the wonderful subscribers! Click here to sign up! Mary and I met through our sons preschool, we were friendly in the halls but never had the time to talk. Then one day I was waiting for my kids school bus and Mary comes riding by on her bike with her two adorable kids in a ride along seat. She barrels from one side of the street onto my side saying “Hi, I know you!”. We learned we just lived minutes from each other’s homes and we clicked right away. My fellow Mom’s will understand what it is like when you meet a Mom friend that is similar to you. We are very similar in parenting, humor, and she is someone that is genuinely so kind! Her and I got together during the day with our kids, who also became fast friends. 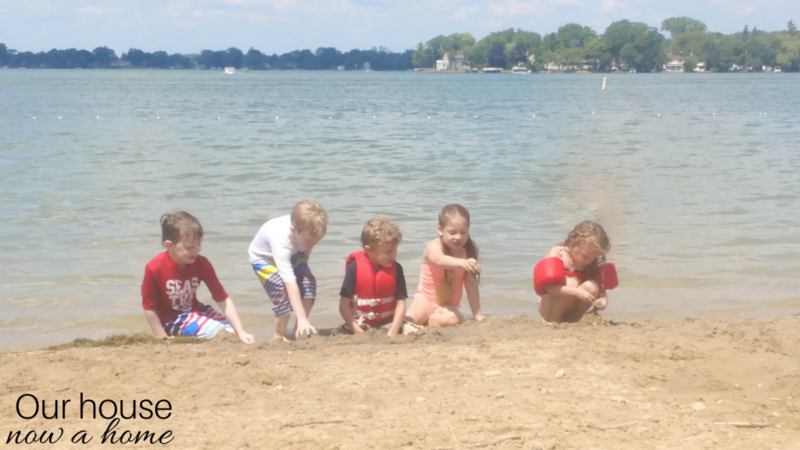 Then the big test happened….. we had over Mary, her husband Jeff and their two kids for dinner. Our husbands were meeting. We both independently warned our husbands “Don’t mess this up for me!” Which was unnecessary because even they got along really well. We have formed a tight bond, their family and ours. Good friends, good people like Mary and her husband you hold on tight to. 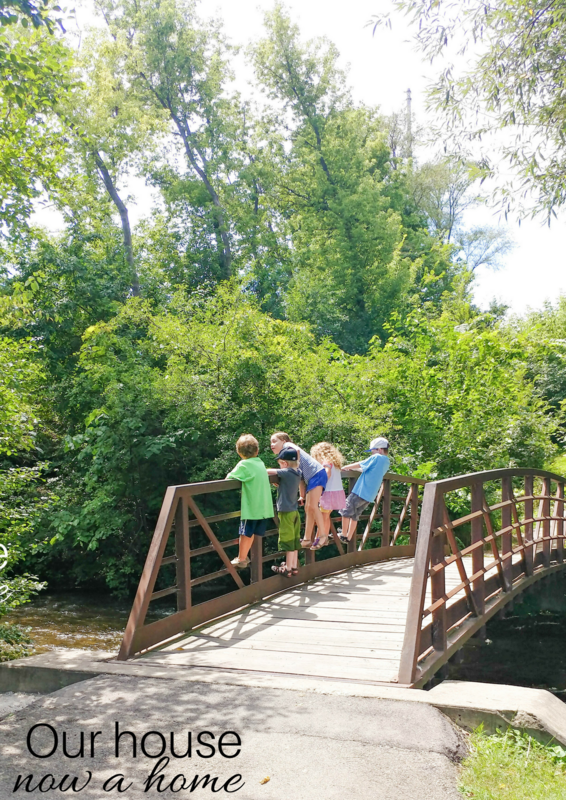 Our summer days are filled with taking our gaggle of 5 kids on adventures, having some much needed “Mom talk”, sharing dinners together, bonfires, camping, and hopefully lifelong friendships for our kids. Our daughters have become like sweet sisters, her younger daughter seeing stars in her eyes when she is around my older than her Nora. Our boys are climbing trees and forming their own brotherhood. Mary’s son was even present when Gavin broke his ankle, except her son was smart enough not to jump off of the bunk bed. We may or may not be planning for one of my boys to marry her daughter, just two Moms daydreaming. What has happened is a friendship of two years that is only growing closer, our husbands and kids love each other and we all get together a few times a week. So how does this fit into the blog? A few weeks ago Mary came to me mentioning she wanted to start a blog, needing some pointers on where to begin. I offered for her to contribute here to get her feet wet in the blogging world. Then it hit me, she could be that new force in the blog I was needing. A way to continue moving froward with the blog without thinning out my time with my family. Mary and I can tackle this whole blogging world together, me with a paint brush and her with…. a spoon… measuring cup? Anyways, she is down to tackle it all with me. Just as long as I do no cooking, we had them over for dinner one night and I legitimately was stressing her out as she watched me make grilled cheese sandwiches. No joke, this happened. Who knew grilled cheese sandwiches could be messed up? Later this week Mary will explain what you can expect from her. We will also be updating the blog menu, about me, and even getting some fancy new pictures featuring the both of us. Life happened, kids got sick and it prevented us from doing it before the big food blogger launch. Early on with our plan for the blog Mary expressed her worry that she is not a professional chef, what could she bring to the table? However, there is value in her skills and she is a really good cook. She has a knack for making healthy recipes taste really good. Her son has a peanut allergy so she knows creative ways to supplement those ingredients. Lastly, she is a former vegetarian that now has a “meat and potatoes” kind of husband, so she is constantly merging those two varying food preferences together. I will stick to my regularly scheduled programming of home decor, crafts, and DIY projects. Now we will also be getting recipes from Mary during the week! She will be incorporating gardening into her blog posts once it becomes warm enough for that. Since we live in Wisconsin and it is only late January we have a long winter to go here before gardening can even begin to happen. But we get her simple, quick and realistic recipes to fill your bellies with! The plan is to eventually start redoing her wonderfully country home in addition to the recipes. 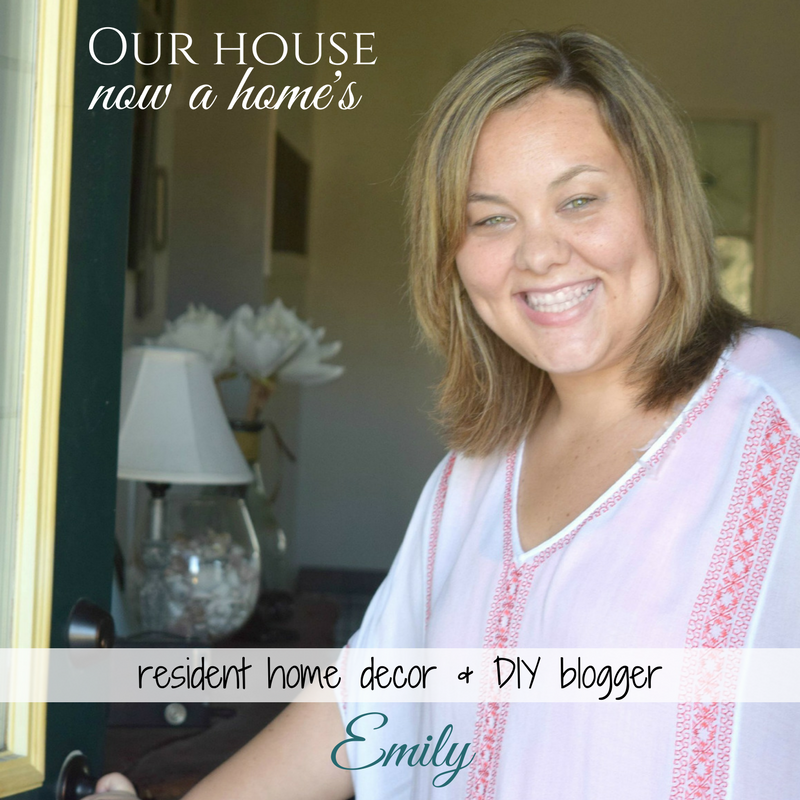 She is not sure what her personal decorating style is, and I am antsy to go farmhouse crazy with her home! It will be a fun process of delving into her home and starting from scratch with new ideas and a different style from what I am used to as well. There will be even more home decor content with this new addition with a lovely and wonderful Mary joining the blog. With this Big news for Our house now a home, we are adding recipes there will be a few hiccups I am sure as we begin working together on social media, how we will differentiate our individual voices, and so much more. But, I am so excited for this to start rolling out, I mean; we all have to eat so her yummy recipes are just what the blog is missing. Tomorrow she will be sharing her first recipe and then later in the week she will share a little more about herself. 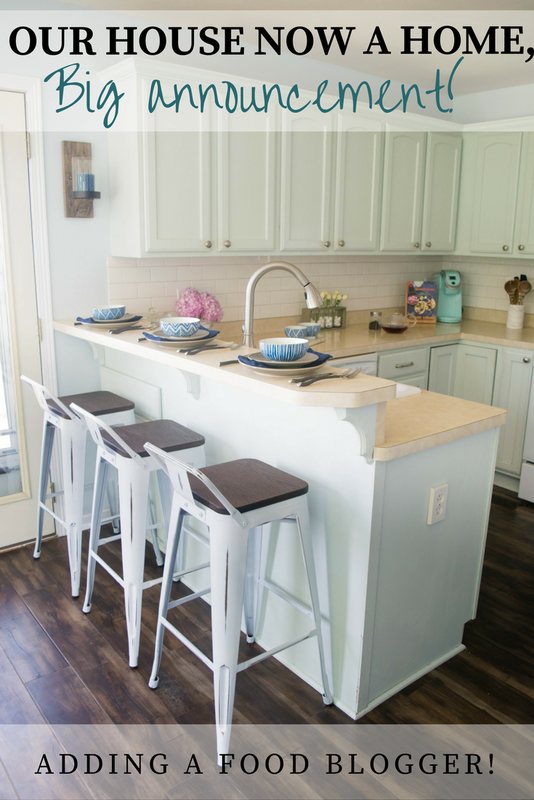 The heart of the home is always the kitchen and Mary will be at the helm, creating a house even more into a home! I can’t wait to hear some of her recipes and gardening tips. We are doing a garden this year for our second year and love new gardening tips. How fun you are doing a garden! Mary’s garden is amazing, we go and visit to “shop” for some veggies during the summer. Always nice to get some help in another area. Look forward to seeing some wonderful recipes coming this way. I am so excited to have Mary as a part of the blog now! This is so cool! I always like learning more about food since I love to eat. I’m terrible in the garden, but my mom likes to do it. I just love all your decor! Thank you! I am really excited to have Mary share her recipe ideas! I would love for my house to look like this. 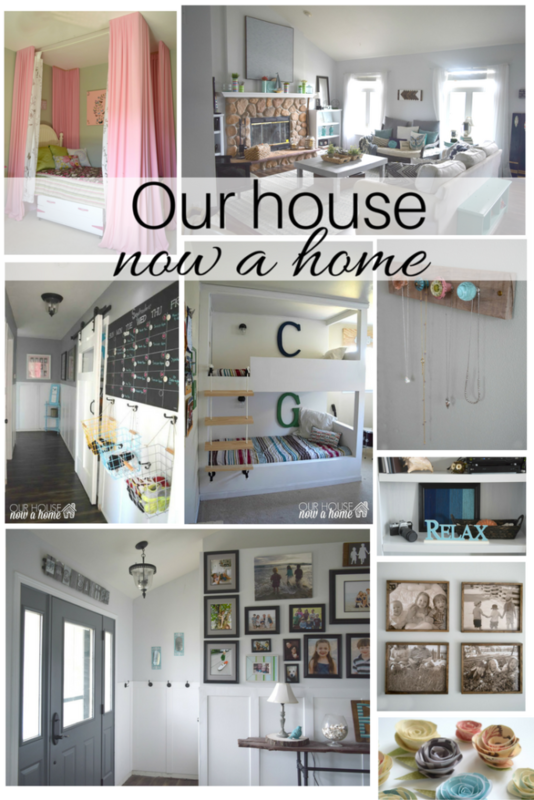 My house is absolutely no character whatsoever and I would love to decorate it like this. I am definitely going to take some of the pointers here. It is so true, finding good family friends is amazing! What exciting news to look forward to! I’m sure it’s all going to be amazing and I cannot wait what you have in store for us. I’m definitely excited about the recipes and the food! 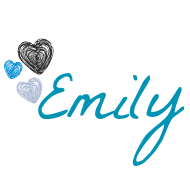 I am really excited to have Mary be a part of the blog! Welcome aboard Mary and I am looking forward to checking out all of your featured recipes. Again, welcome aboard Mary. We are so lucky to have Mary sharing her recipe ideas here! Congratulations! That is exciting news for Our House Now a Home. Love the cart. 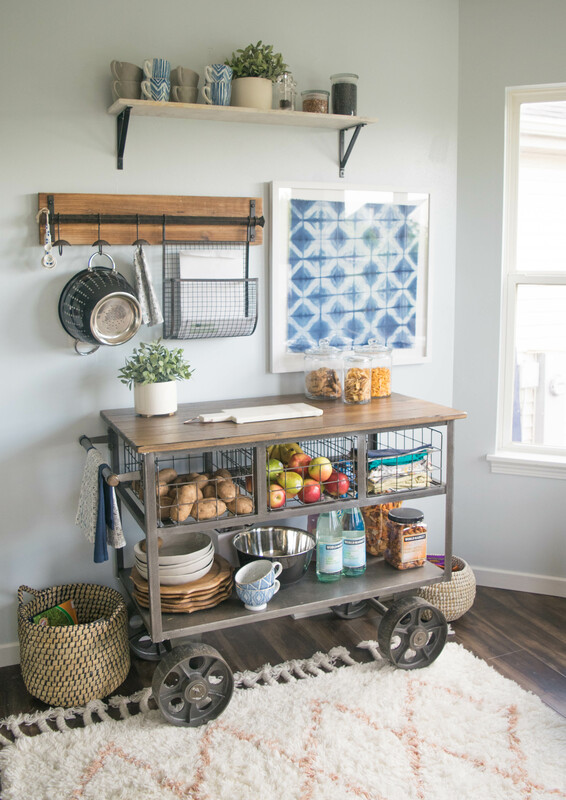 What a unique piece and looks awesome for storage in the kitchen. Congratulations! I am looking forward to seeing what you guys cook up on the blog. I am always looking for new recipes to try. I am happy everyone is so excited to have Mary sharing her recipes! That’s fun! I love recipes (food blogger, here!) so I’m excited to see what she brings to the table! What exciting news for you all! Amazing to be able to bring someone new onto the team who you know can really help build on what you already have. I am so excited to have Mary be a part of the blog, having someone share this journey will be great! It sounds like fun to co-blog with someone else. I’m glad you have a partner in crime and that your families get along so well. I miss that since we moved to another state. All my mom friends are back in AZ. I am sorry you are not close to your Mom friends, that is difficult. It sounds like you two will be a dynamic duo! It is so great to have someone trustworthy to collaborate with so you can unplug more and spend time doing what matters most. Very true about having someone trustworthy. I am excited to get this new collaboration rolling! What an exciting time for both of you. This would be a great collaboration and I can’t wait to see her recipes and more of your DIY home improvement projects too. Thank you! We are both so excited to share our ideas! I always love all your decorating ideas, your home is really beautiful! 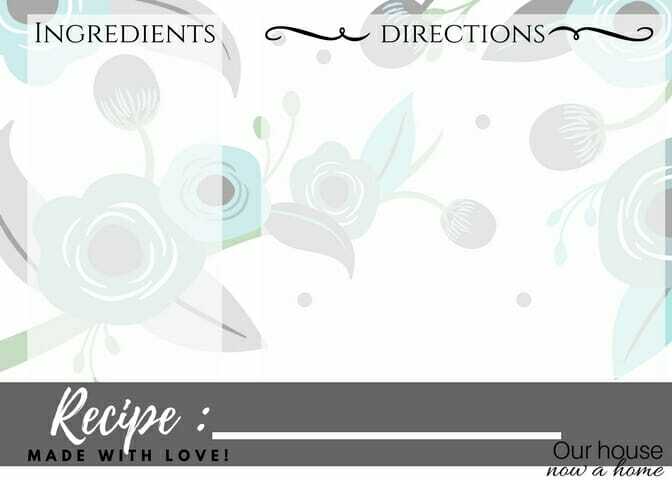 Thank you for the printable and I am excited with your food blog. Wow! What a great revamp for this new year! Welcome Mary and congratulations on this! We will definitely be looking forward on more posts about gardening and of course recipes! Thank you! 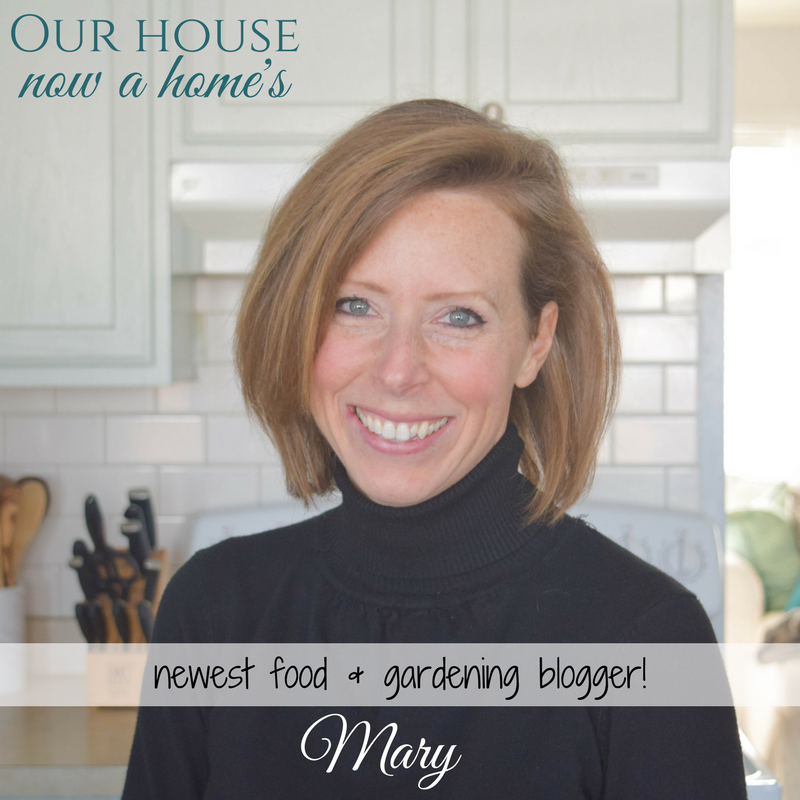 This is a fun way to kick off the year for me, I am excited to have Mary be a part of the blog! I am really happy to hear this! I will have to keep the eye on some new recipes! Mary has great recipes she is planning to share! I cannot wait for more! I am so happy to hear this, and I’m positive it will be an amazing addition to your blog! Thank you! I am so excited to have Mary be a part of the Our house now a home team!